Boys Junior Varsity Volleyball · Apr 10 Boys Junior Varsity Volleyball falls to Newbury Park 2 – 0. Boys Junior Varsity Volleyball · Apr 5 Boys Junior Varsity Volleyball falls to San Marcos 2 – 1. Boys Junior Varsity Volleyball · Apr 5 Boys Junior Varsity Volleyball beats Oaks Christian 2 – 0. 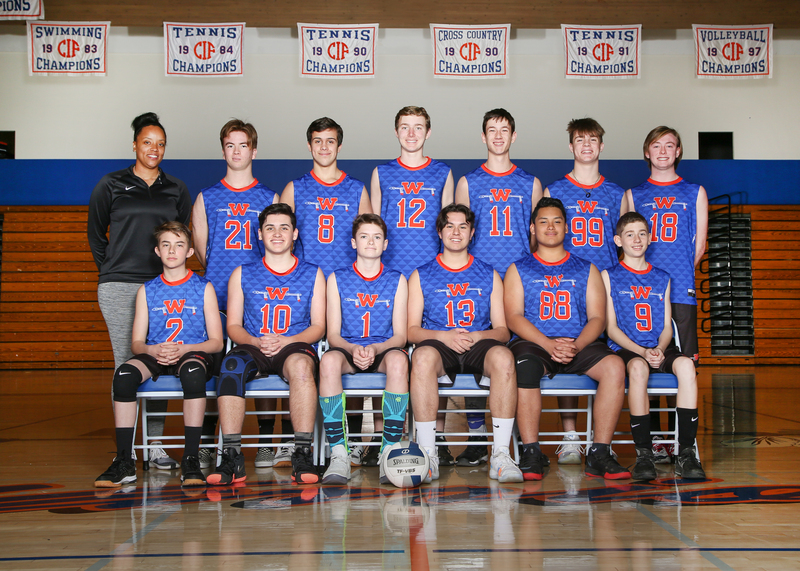 Boys Junior Varsity Volleyball · Apr 2 Boys Junior Varsity Volleyball beats Thousand Oaks 2 – 0. Boys Junior Varsity Volleyball · Mar 29 Boys Junior Varsity Volleyball beats Calabasas 2 – 0. Boys Junior Varsity Volleyball · Mar 27 Boys Junior Varsity Volleyball beats Thousand Oaks 2 – 0. Tryouts for the WHS Boys’ Volleyball team for 2018-19 will be held November 28-29 from 2:00pm to 4:00pm in the WHS gymnasium. More information will be posted as it becomes available. If you have any questions, please contact Coach Eric Taylor at erictaylo11@gmail.com.